Freed from the Real is another combo with Axebane. 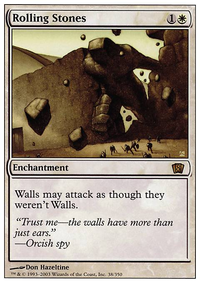 Other good Walls are Wall of Nets, Geist of the Archives, and Drift of Phantasms. Also Belligerent Brontodon is another Assault Formation effect. 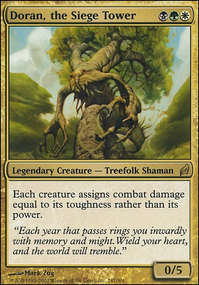 @ Homelessguy yea your description is fine, im personally not a fan of combos in commander, unless its filled with a bunch of fetch cards or combos with your general, your combos do seem interesting though. 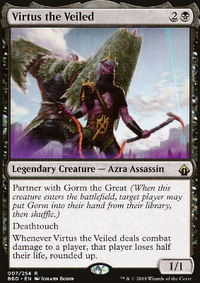 if your interested in more one sided board wipes, you can also consider Wave of Reckoning Retribution of the Meek (bury means to sacrafice, meaning those creatures cant be regenerated), Elspeth, Sun's Champion and Fell the Mighty. 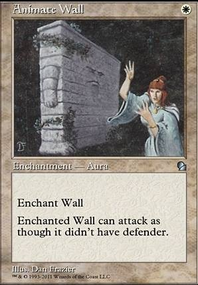 im not a fan of Angelic Wall or Murmuring Phantasm, as only 4 toughness creatures you may be able to replace them with creatures that offer more toughness or utility, such as Amaranthine Wall, Carven Caryatid, Glacial Wall, Gomazoa, Wakestone Gargoyle, Wall of Glare, or Wall of Mulch. 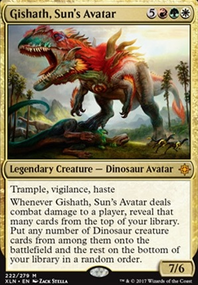 also your deck seems to heavily rely on arcades to be able to swing, maybe consider playing Wakestone Gargoyle, Belligerent Brontodon, and Rolling Stones. nuggnugg Yeah it can definitely be a "feels bad" card when you're top decking and you draw Rolling Stones, but I've very rarely been top decking with this builds card draw. Oh, Belligerent Brontodon should be in here too! The theme deck of the hour! You don't really want to be running Rolling Stones or Wakestone Gargoyle, because while they allow your Defenders to attack, they don't provide the essential effect of using Toughness for damage. 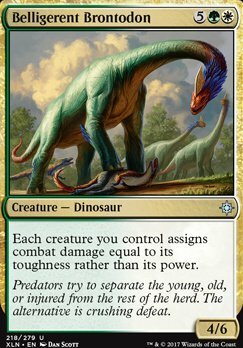 I guess you are hoping to combo them with Belligerent Brontodon, but I would free these 3 spots for more value and efficiency. I would definitely move Sidar Kondo of Jamuraa to the main board. 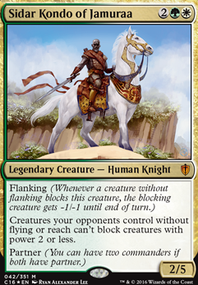 If you are going for flicker effects, you could include Venser, the Sojourner, who also provides great evasion. I like Bident of Thassa in this deck, because forcing your opponent to crash their creatures against your walls seems like a lot of fun.